GBS - on the road to success worldwide! smartWLI - optimized for best results even on steep flanks. Since 1997 the Gesellschaft für Bild- und Signalverarbeitung (GBS) mbH has been a competent partner in the field of image processing for the solution of inspection tasks. We develop, manufacture and distribute systems of digital image processing. 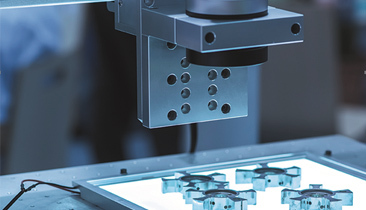 The range of manufactured systems ranges from optical 3D surface measurement technology to sophisticated test systems for quality assurance, including color and texture. In many cases, a sensor for quality assurance is no longer sufficient. GBS develops customer-specific test systems for quality assurance. 2D and 3D sensors are used. 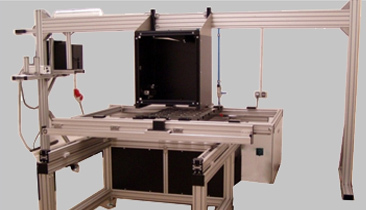 The systems include the automated feeding, testing and sorting of the test parts. Industrial image processing has become a fixed component of automation solutions. We develop customer-specific solutions for quality assurance tasks in production. In doing so, we can take advantage of our own image processing library and quickly carry out a feasibility analysis with our software package for rapid prototyping. White light interferometry is one of the proven optical measurement methods for the acquisition of 3D topographs with depth resolutions in the lower nanometer range. Due to the parallel detection and processing of the measuring points, height information can be obtained over a large area and in a very short time. Innovative products based on a solid scientific foundation - GBS is the founder of the professorship "Industrial Image Processing"
Non-contact measurement of the cylinder surface based on white light interferometry. Compact stand-alone 3D surface measurement device based on white light interferometry. The system is a very economical solution for the 3D analysis of surfaces. 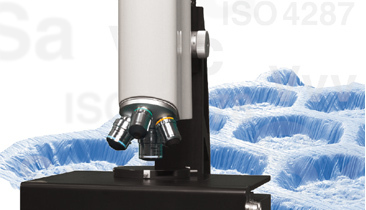 In addition to our standard systems, we also develop customer-specific solutions for 3D surface measurement (microscope upgrade, WLI with large measuring area and long working distance). 3D analysis software for the evaluation of the measured data. Use our experience in the field of quality assurance in production. Not only our 2D image processing solutions but also our 3D surface sensors are well equipped for in-line use. With our unique technology Speedytec a 3D surface measurement can be made at full sensor resolution every second! Visit us at the world trade fair for quality assurance, the CONTROL 2019, from 07.-10.05.2019 in Stuttgart. We cordially invite you to visit our booth 7312 in hall 7th. Conclude exclusive sales contract with Canon Marketing Japan Inc.
New contract releases the optical three-dimensional surface profiler "smartWLI series" in Japan. GBS participated in the GPS News conference in the Stadthalle in Chemnitz on 18.-19.09.2018. GBS already has the technology for Surface Measurement 4.0, which became clear at the Innovation Forum on October 9, 2018 in Stuttgart. Visit us at the world trade fair for quality assurance, the CONTROL 2017, from 09.-12.05.2017 in Stuttgart. We cordially invite you to visit our booth 7320 in hall 7th. Also in 2018, GBS mbH will take part in the VDI conference on the cylinder barrel, pistons and connecting rods in Baden Baden with a scientific contribution and an exhibition stand. Visit us at the GPS - NEWS - Meeting 2018, from 18.-19.09.2018 in the Stadthalle Chemnitz. We cordially invite you to the device exhibition. Despite a detailed documentation of our products, a technical question has arisen?